Test Drive The All-new 2019 Ford Mustang at Van Isle Ford! The Ford Mustang might not be the most muscular of muscle cars in the market at the moment in its non-Shelby forms, but it has a name, reputation and following it rivals can only dream of. Not only is the Mustang a legendary nameplate in North America, it's now gone truly global and has been the best-selling sports coupe for three years straight. 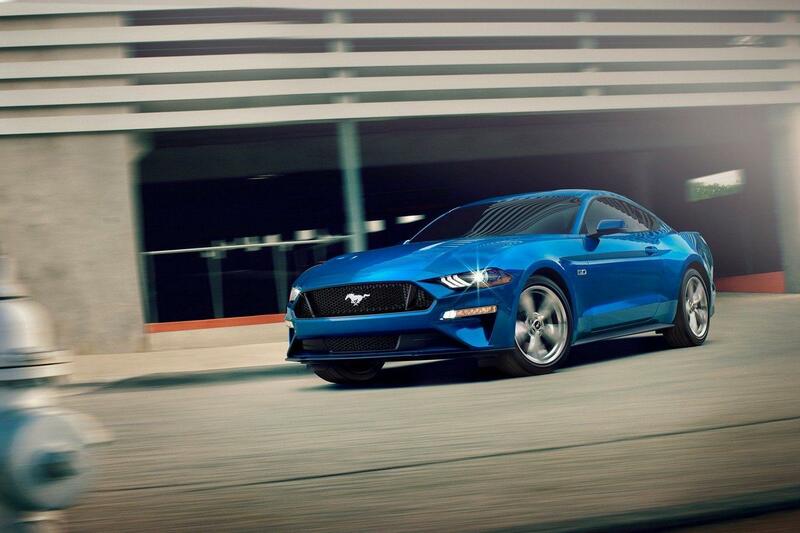 Although it still falls under the muscle car banner, the latest 2019 Ford Mustang is now becoming more of a well-rounded sports car, ready to take on rival models that may not have seen it as the competition in the past, until today! Last year was a very good year for the Mustang, both in its North American home and in the wider world, and the next year should be even more successful for this iconic model. The big news for the 2019 model year is the addition of two new models to the Mustang lineup in the shape of the Mustang Bullitt and the Mustang California Special. After a minor cosmetic enhancement for 2018 there are no notable changes to the styling, but a Bang & Olufsen premium audio system has been added and there's also an all new Shelby GT500 boasting more than 700 horsepower to get excited about. Somehow, Ford's designers continue to evolve the styling of the Mustang while still keeping it instantly identifiable as a Mustang. The headlights and the rear were tweaked for 2018, but this is essentially the same car that was substantially redesigned back in 2015 and ushered in a new golden period for the car that continues apace with the new 2019 version. Depending on which version you choose there are differing amounts of chrome, bigger, brighter or blacked-out wheels and heritage stripes to adorn the exterior of the Mustang. But whatever model is chosen there's no mistaking it for anything other than a Mustang. kicks off with the EcoBoost Fastback. Beyond that we also have the EcoBoost Premium, GT, GT Premium and the range-topping Bullitt. Although not listed on the Ford Canada website yet, the California Special version of the GT is also going to be offered here in Canada in the not-too-distant future. Standard models are all available in both coupe and convertible body styles. Beyond all these we then have the Shelbys, although specs and prices for the Canadian market have yet to be confirmed. With no V-6 option the four-cylinder EcoBoost is the entry level engine, but don’t rule it out due to a perceived lack of cylinders. This one packs a hefty turbo punch and its 210 horsepower and 350 lb.-ft. of torque are good for 0-60 mph in well under six seconds. The only thing it lacks the six-cylinder had was the sound, but to some extent that's made up for by the active exhaust system. But if a four-cylinder in a Mustang still isn't your thing there's always the trusty Ford 5.0-litre V-8 with its 460 horsepower and 420 lb.-ft. of torque. The four-cylinder works well with Ford's latest ten-speed automatic transmission, but the best is squeezed out of the V-8 with the newly rev-matched six-speed manual. 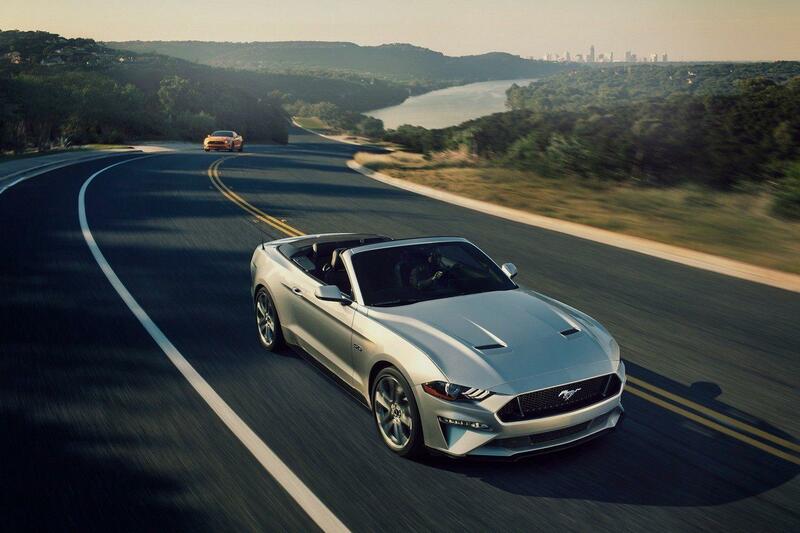 For more details and to arrange a test drive in the sensational 2019 Mustang, don’t hesitate to contact us here at Van Isle Ford Sales, your premier choice Ford dealer in Port Alberni.